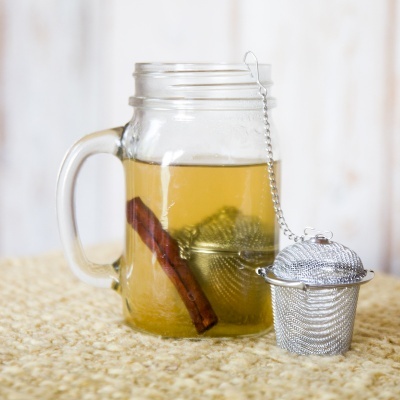 A perfect reusable tea infuser with a hinged top that opens fully for easy loading and cleaning. Use it with your jar, cup or other containers at home and on-the-go. Glass jar not included. 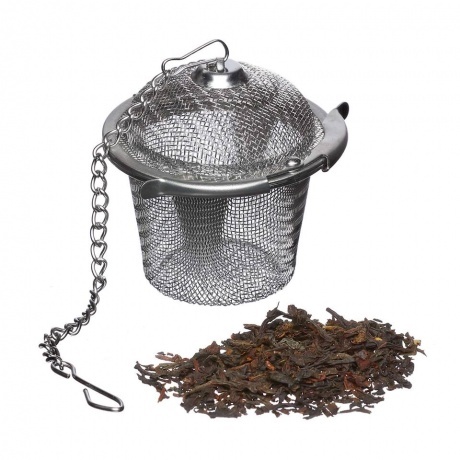 EcoJarz Tea Basket is a perfect reusable tea infuser with a hinged top that opens fully for easy loading and cleaning. Use it with your jar, cup or other containers at home and on-the-go. Perfect for use with any EcoJarz drinking jar lid. Made of high quality stainless steel for durability. Replace commercial tea bags with reusables. Reduces packaging waste and the energy and resources used to produce commercial tea bags. Most tea bags are not biodegradable and are actually made from plastic! This tea infuser is 100% biodegradable. Made of 18-8 food grade 304 stainless steel.